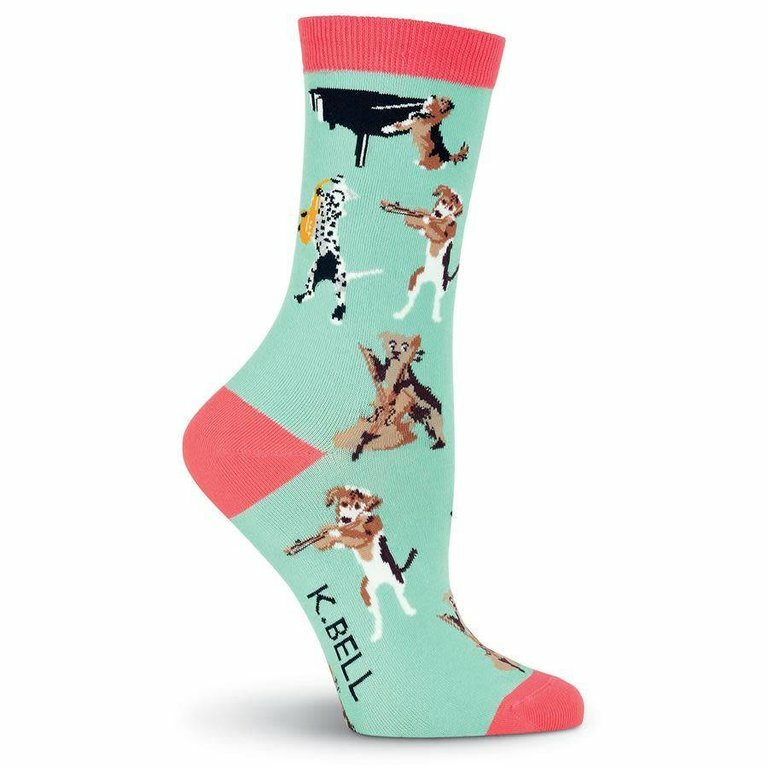 Listen to the beautiful melody that these dogs are creating on these women's musical dogs crew socks! From a dog playing the violin to another playing the piano and another playing the saxophone, these socks will bring a whole new music note to your day. Show off your love for dogs and music with these crew socks!